In 2015, I visited Australia and taught courses in Melbourne, Sydney and Brisbane. 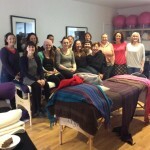 Over 50 therapists in Australia have now been trained and practise Fertility Massage. The course was so well received in Australia that I am heading back down under this year. “For decades I have experienced unbearable periods and have been diagnosed with endometriosis, POCS, Fibroids and irregular (2 x monthly) heavy bleeding and was a sexually abused child. 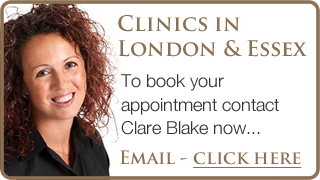 I started investigating a holistic approach to these issues and also my best friend was searching for a natural fertility solution when we both singly found Clare Blake’s Fertility Massage and Womb Healing course. This confirmed this was the course for me and so began my amazing journey and the reconnection to myself. I arrived at the course with a intense period, robbed of all my energy from heavy bleeding; feeling ill and crushed from the toll my periods were taking on me. I confess I have never felt feminine or womanly and kept myself separate from this (her). So started the journey of my own healing and reconnection of my own divine divinity of the feminine essence and the connection of an amazing sisterhood of women and becoming a “womb sister”. This course is designed not only to learn about Fertility Massage and Womb Healing but to discover your own womb and the divine feminine that is within all of us. For me it was an awakening to a part of myself that I had long since rejected. 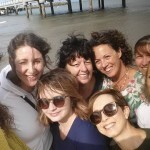 The phenomenal Clare Blake and her team of “womb sisters” provide the loving support that is shared with all the amazing women that attended the course, we all held a space for each other without judgment but with love and support, tears and laughter and joyous dancing. 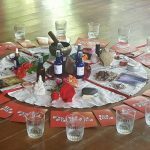 This course was more than becoming a practitioner in this healing modality. We all undertook a journey of self discovery during the course. It was an awakening to the wisdom of the feminine. Everyone shared and gave inspiration and Clare championed us all throughout the process. Words can’t describe the gratitude I have for your teachings and healing journey that you have facilitated over the last 5 days. You welcomed us everyday with genuine warmth, love and compassion. You brought such immense energy to every second. You held each and every one of us like a child in your arms. You morphed with ease and grace from hilariously funny ‘Essex Chick’, to ‘Shamanic High Priestess’ to Teacher of amazing wisdom. 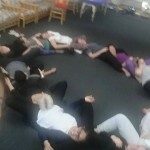 Your teaching style is so relaxed that any anxiety that I normally feel when doing a course was gone and yet the massage sequence flowed from my hands without really thinking about it. Many practitioners “Hear the call” to do this work – if this is YOU and you would like to become a “Wombie” by learning this beautiful, feminine and nourishing therapy, then secure your Early Bird discount and book before 1st April 2017.